Our spacious Cedar two-room suites offer an elegant dining area with seating for four, plus a comfortable yet modern sitting area with a 52-inch HDTV. The master bath features dual vanities, a relaxing soaking tub and a gorgeous glass-enclosed shower. 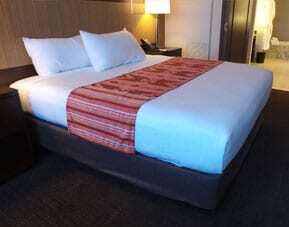 Indulge in posh linens and lofty pillows on a king-size bed in a separate room. Cuddle up with our plush bathrobes and slippers, and enjoy our turn down service. 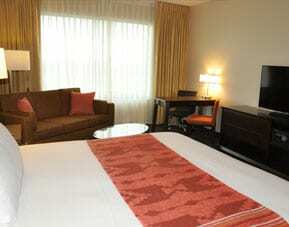 The classic Huckleberry two-room suites feature an elegant sitting area with comfy armchairs, a sofa and 52-inch HDTV. The luxurious king-size bed is in a separate room, and the master bath offers dual vanities with a relaxing soaking tub. Cuddle up with our plush bathrobes and slippers, and enjoy our turn down service. Our Celilo Suite features more than 800 square feet of relaxed space, with an elegant sitting area with comfy armchairs, a sofa and 52-inch HDTV, a dining area that can seat up to eight people and a catering kitchen with seating. The luxurious king-size bed is in a separate room, and the master bath offers dual vanities with a relaxing soaking tub. Plus, enjoy a connecting conference room with the option of adding the adjoining Huckleberry Suite. 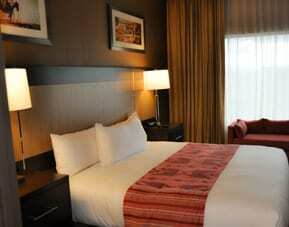 Our deluxe rooms are located on the 5th and 6th floors, with windows facing Mt. Adams. Weather permitting, these rooms offer sweeping views of our local gem. 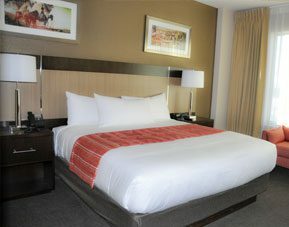 With more than 450 square feet, deluxe rooms are inviting with your choice of one king-size bed or two queen-size beds, plus a modern bathroom with a relaxing shower and exclusive Native Naturals bath amenities. 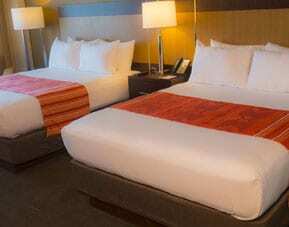 With more than 450 square feet, deluxe rooms are inviting with your choice of one king-size bed or two queen-size beds, plus a modern bathroom with a relaxing shower and exclusive Native Naturals bath amenities.